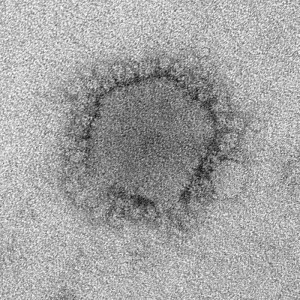 The case of Middle Eastern Respiratory Syndrome (MERS) jumping from person to person earlier this week has had the Centers for Disease Control and the public worried over a possible pandemic. Now, infectious disease experts are tampering down those fears but increasing others, as they say tropical diseases such as Chikunguya are much more likely to spread across the US. MERS started as a camel-to-human viral disease in the Middle East, which has had 612 cases so far with about 30% of inflicted individuals dying from respiratory distress. An Indiana man traveling to the Middle East brought the disease back with him to the US, and passed it to another man from Illinois whom he had met with multiple times after traveling. Both are feeling well, and the CDC confirms that with quick and proper treatment the disease can be pretty easily managed. This is cold comfort to infectious disease experts, who are looking south for the next big pandemic to hit. Places like Haiti, which have rampant poverty and are debilitated from recent natural disasters, are breeding grounds for any number of serious infectious diseases. Although some diseases like cholera are water borne and therefore only pose a threat to the neighboring towns, vector borne diseases such as Chikunguya can easily pass into the US, carried by northern winds, travel, or shipping. The CDC has already declared Chikunguya an epidemic, with 51,000 cases spanning 12 countries, as opposed to MERS’ 614 total cases. Chikunguya is a mosquito-borne disease that spreads similarly to dengue fever, meaning 3.6 billion people in 124 countries are susceptible. Although not usually deadly, it causes debilitating ailments such as rashes, headaches, and joint swelling. It poses a bigger threat than MERS because of its ease of transmission and lack of suitable palliative care. I am asking how to avoid it disease?